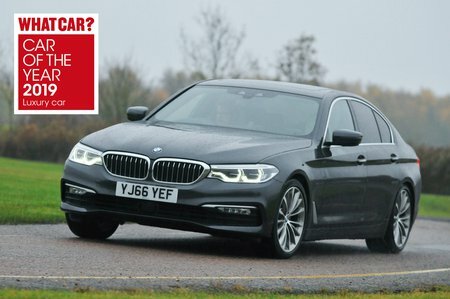 BMW 5 Series Boot Space, Size, Seats | What Car? Cars at the lower end of the luxury class need to put on a good show when it comes to front space, since this is where the majority of owners will spend most of their time. 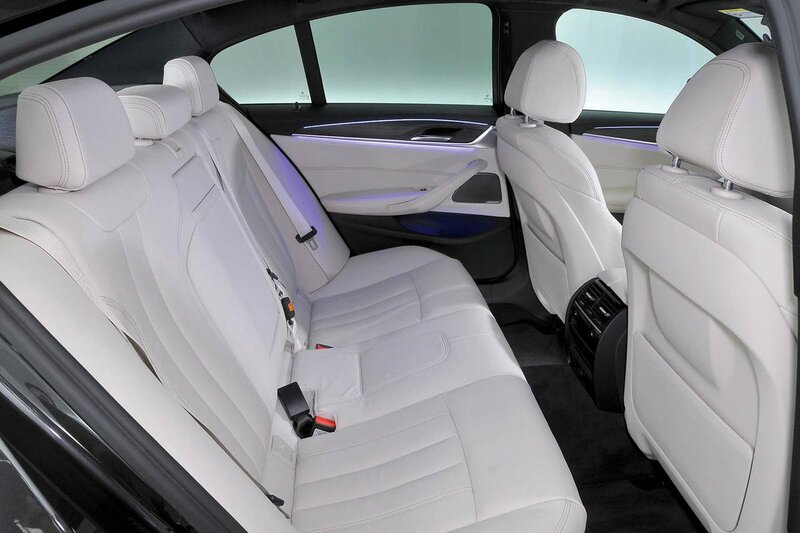 The 5 Series offers a bit more leg room than the Audi A6 and is roughly on par with the E-Class. There's plenty of head room in the 5 Series, too, and while adding a panoramic roof comes at the expense of headroom, six-footers will still be fine. The 5 Series is the widest in the front among its obvious rivals, but in truth, none of these cars are small. The E-Class's interior design makes it feel more 'fitted' and less airy than the 5 Series and A6, but your favourite will come down to personal preference. Getting in is also comparatively easy, thanks to doors that open wide. The glovebox is a good size and there’s a lidded cubby behind the gear selector with USB ports that’ll take most wallets, keys or a mobile phone, along with two cupholders in front of it. Each door pocket will accommodate a small water bottle. There’s enough room for two tall adults in the back, and while there's a tad more leg room in the rival Audi A6, the 5 Series has a noticeable amount more leg and head room than the E-Class. A third passenger won't have quite as comfortable an experience on longer journeys, though – shoulder room is tight and the middle seat passenger has to straddle a raised central tunnel and, if they're above average height, duck to avoid the overhead lighting console. Access to the rear seats is good, because the doors swing open wide and the aperture is tall. There's also useful storage, in the shape of cupholders, door pockets and map pockets. 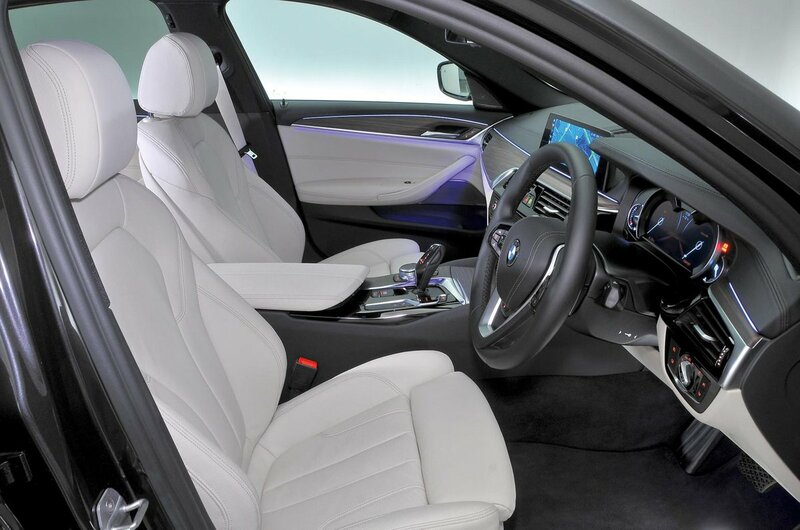 Just like the driver’s seat, the front passenger seat has electrical base height and backrest angle adjustment as standard, making it easy for your passenger to fine-tune his or her perfect position. It’s disappointing that electrically adjustable lumbar support costs extra, though – even on the more expensive trims. It’s also disappointing that the rear seats are fixed as standard. Unlike in the Audi A6, you have to pay extra to make them split 40/20/40 and fold down, although with this feature added they do lie usefully flat. The 5 Series has a 530-litre boot, which officially is quite a bit smaller than that of the Audi A6. And while on paper that's not a lot less than the Mercedes E-Class's boot, the E-Class has a big underfloor storage area that you can call upon as well. The 5 Series' boot is also an odd shape, with various of ridges, and the upshot is that it can't match the load-lugging abilities of its rivals; we managed to fit a respectable eight carry-on suitcases on board, while the A6 and E-Class both took nine. As with all saloons, the boot opening is far smaller than a hatchback’s or an estate's, and that can make loading tricky, although being deeper than the E-Class’s, it’s potentially more accommodating for really bulky items. An electric bootlid is on the options list if you'd prefer not to raise or lower it yourself. Boot space in the 530e iPerformance saloon is reduced from the standard car’s 530 litres to 410. To put it another way, it can only hold five carry-on suitcases. That’s due to its battery pack being located under the rear seats.